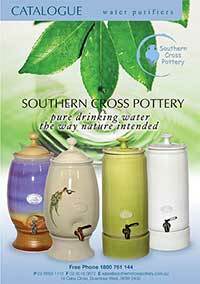 Established in 1987, Southern Cross Pottery is a multi award winning production pottery specialising in the manufacture of all hand made and hand decorated stoneware gravity fed water purifiers. 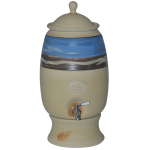 Southern Cross Pottery water purifiers remove virtually all impurities, keeps the water cool naturally, makes the water taste better all without the need for plumbing or electricity. 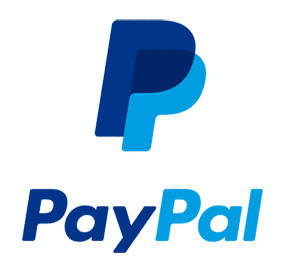 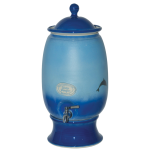 Using a carbon and ceramic filter our system does not remove healthful minerals, such as calcium and magnesium, and does not leave the water tasting flat, all for only a few cents per litre. 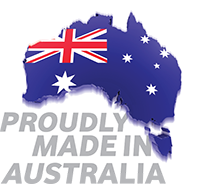 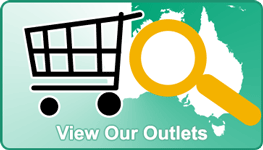 Southern Cross Pottery specializes in the manufacture of all Australian hand made gravity stoneware water purifiers.